Chris is an internationally renowned speaker and trainer, and has taken Dru Yoga and meditation to many parts of the world. Over the years he has trained hundreds of yoga and meditation teachers, and has pioneered many groundbreaking courses over the globe. He has a deep understanding of the energy bodies and how to activate and balance them. He is a practising jyotish, and has trained many students in this ancient discipline of vedic astrology. Chris is a master in the uses of pranayama and prana kriya to move energy in the subtle body and he regularly trains students in these skills. His understanding of the science of yoga, as applied to health and healing, is vast, and he is renowned for his ability to make difficult subjects easy to understand. Chris is often sought after to train others and bring them closer to self-understanding. Sylvia has been teaching yoga since 1990, and has established herself as an expert educator and yoga therapist. Sylvia has a thorough and deep knowledge of all aspects of yoga and demonstrates from day to day how to live a yogic life. She has pioneered many yoga therapeutic studies here in the UK, in collaboration with university depertments, and was the first person to run Dean Ornish's coronary care programme in Liverpool. 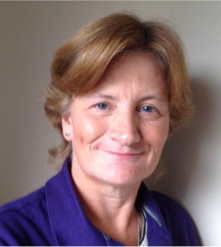 Having spent many years working in adult education, Sylvia is an expert in educational methods and has taught City & Guilds teacher training courses in Liverpool to many students. She is a pioneer and has coordinated many educational programmes in her various roles. 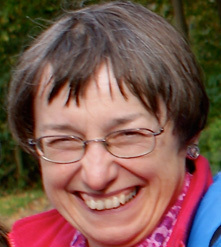 Currently Sylvia chairs the Dru Curriculum Committee and also currently sits on the British Council of Yoga Therapy in charge of yoga therapy curriculum development. 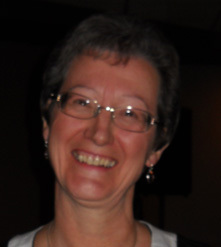 Ruth began practicing yoga 30 years ago and her passion to want to help people’s health and well being led her to train as a physiotherapist in 1985. During this time she discovered Dru Yoga, and went on to qualify as a Dru yoga teacher in her early twenties. Since then, Ruth has continued to work within the NHS in Wolverhampton, helping countless people to regain the freedom to move and to understand how to care for their body. Ruth uses a many-modal approach to healing, including up-to-date physiotherapy methods, the use of yoga and muscle balance, and cranio-sacral methods. She has pioneered Dru yoga classes for people with back pain for several years in the NHSl and has helped design Dru Yoga programmes for research studies involving the NHS and businesses in North Wales. 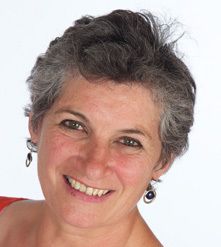 Ruth has taught on both undergraduate and post graduate Dru yoga courses for the last two decades, nationally and internationally and is a senior tutor on the Dru Post Graduate Back course. She is a qualified cranio-sacral therapist, and has a love of music, meditation and yoga scriptures. Padma has been a leading light in Dru Yoga training in the UK for the last twenty years, and has run the Dru Yoga teacher training programme in different parts of the world. Padma is an expert in pre-natal yoga training, and has effectively run our post-graduate prenatal Dru Yoga therapy module for many years with inspirational results. Her background in sports education have served her well in knowing how to work with injury and recovery. Padma has an inate ability to see into the needs of the individual, and her expertise in yoga and yoga therapy prescription makes her an invaluable member of the course team. 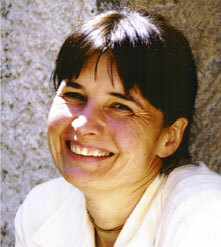 Padma is also a skilled shiatsu therapist and taught on shiatsu training courses in Wales for many years. Padma is a skilled educator who inspires confidence in everyone who is fortunate enough to learn from her. 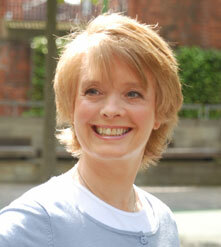 Annie is an international Vitality Coach, motivational speaker, Yoga and Nutrition Consultant. She is the Co. 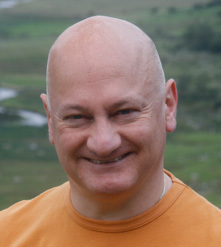 Founder of the International School of Dru Yoga (UK) and author of 'Dru Yoga Stillness in Motion'. Annie has been teaching yoga for over 20 years and has pioneered health and yoga programmes into schools and businesses throughout Britain. Annie specialises in the positive effects of nutritional analysis, and uses her training in analysis of nutrition and blood, alongside her in-depth knowledge of yoga and yoga philosophy, to really make a differnece to her client's health and well being. She hosts many events and conferences internationally. Annie has appeared on numerous television and radio programmes and has made a selection of DVD's and CDs on health and well being. Annie is also the driving force behind establishing the World Peace Flame charity here in the UK and launching the UK Peace Education package for schools 'Peace in your hands'. Annie currently presents workshops in Manchester and around the UK, and offers personal programmes on health and vitality. Jane has been working as a GP in the NHS for the last thirty years. She has cared for people with every kind of complaint, and she has been fortunate to be able to support many people through the health challenges of the different stages of their lives. Her special interests lie in exploring how the mind and body interact, and particularly the ways in which anxiety and panic affect every aspect of health. Jane is the lead doctor in her practice for women's health, and she has taught junior doctors throughout her career. Jane's emphasis has been on helping people to understand the deeper reasons behind ill health, and to develop compassion. 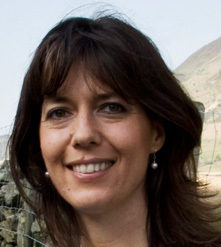 Jane qualified as a Dru yoga and meditation teacher in 2008, and regularly runs classes in both Dru yoga and meditation, as well as running classes for doctors, helping them both to manage their own stress and improve their health, and to understand the value of encouraging their patients to try yoga. Jane has recently been exploring Ayurveda, which together with an understanding of yoga, enables her to give much more specific and focused advice about diet and lifestyle. Jane is working towards a qualification in Ayurvedic massage, and as an Ayurvedic practitioner specialising in women's health issues. May is one of our most experienced tutors, with great expertise in restorative yoga for pain relief. May's own story is next to miraculous, having used yoga, meditation, and visualisation to to bring her, ten years ago, from being wheelchair bound, to being one of our best yoga trainers. May has a great empathy with her students, and knows how to bring the best from them in the most inspiring way. May's understanding of the needs of those who are suffering with chronic pain is phenomenal, arising out of personal experience, and consequently she teaches from a unique point of view, often giving a perspective that most people wouldn't consider. May's sessions are not to be missed. Lalita is an extremely talented yoga teacher trainer, with over thirty years of experience. Her knowledge of yoga philosophy and practice is second to none, and her insightfulness into the application of yoga to therapeutic situations is outstanding. Lalita has the ability to inspire you to bring out the very best in you, and she is an expert at applying yogic principles to just about any situation. Lalita has an excellent practical approach to the body's energy systems and teaches workshops on chakra balancing and strengthening the body's energy system. The Dru Yoga therapy course has a variety of our top international tutors and local support tutors. All work at the very highest standards, so you can be sure that you are in excellent hands.